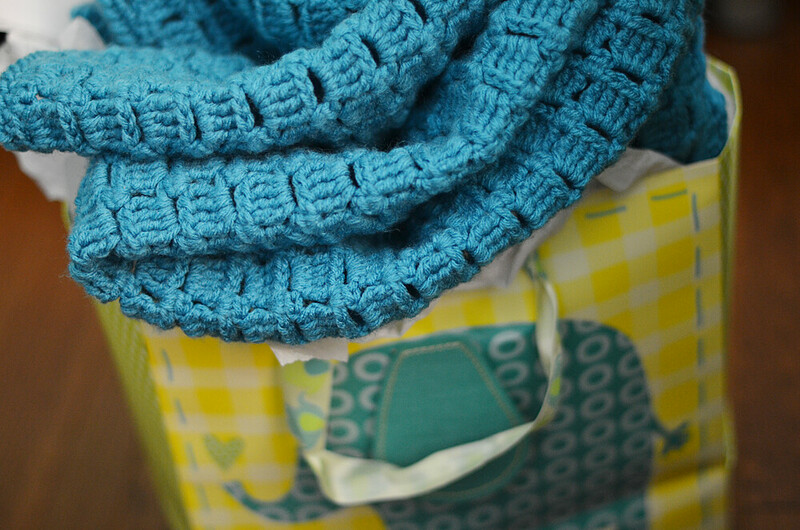 210/365 :: A beautiful homemade blanket we received from our friends for Milo. As a maker of blankets I really, really appreciate this gift! It's beautiful. 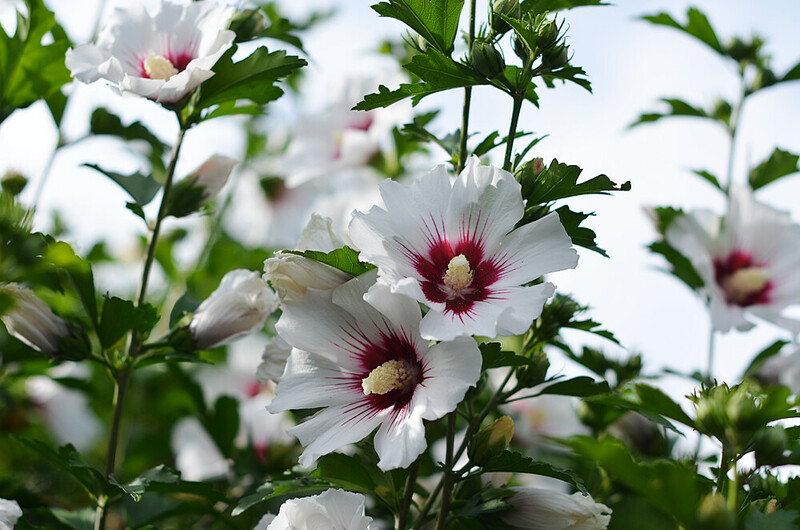 211/365 :: We have three colours of Rose of Sharon along our hedge. I'm not sure which one is my favourite but the white is really pretty. 212/365 :: Just Milo and I, getting stuff done around the house. 213/365 :: This face. 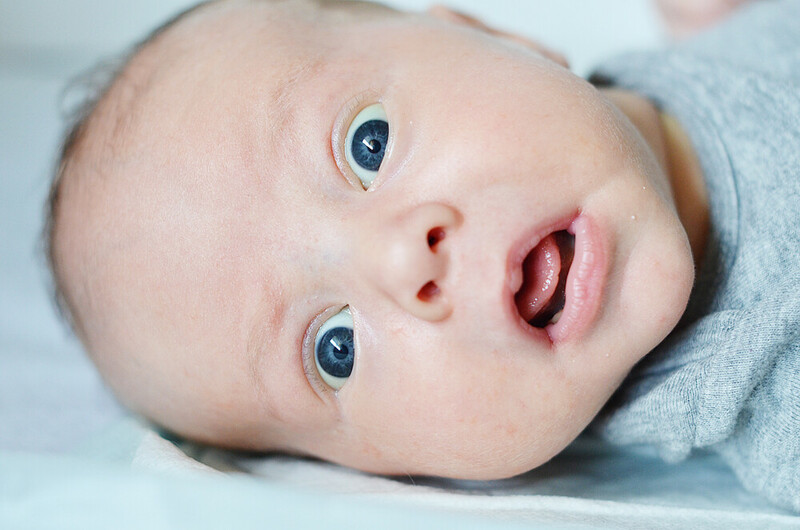 I love silly baby photos so much! 214/365 :: Baby diapers! Cutest. 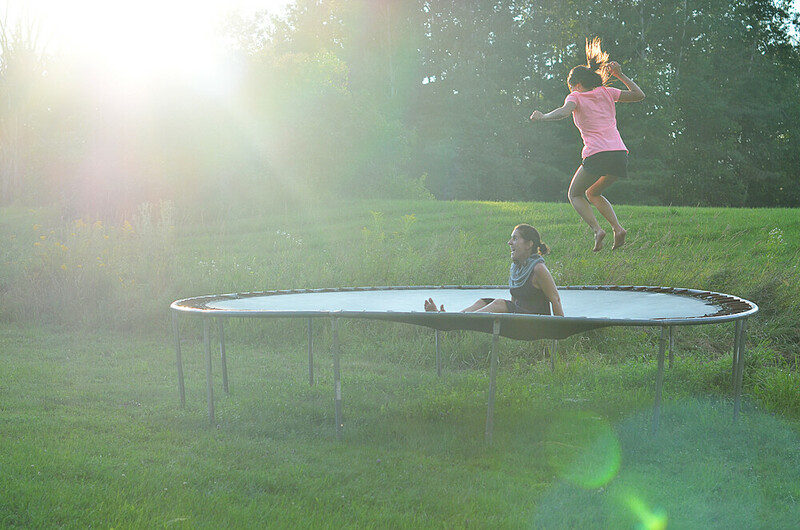 215/365 :: Trampoline at sunset. I have never been on a trampoline because my Mom always thought I would accidentally miss the trampoline and get my legs in the springs. I didn't go on this time because I didn't want my uterus to fall out. One day I will trampoline! 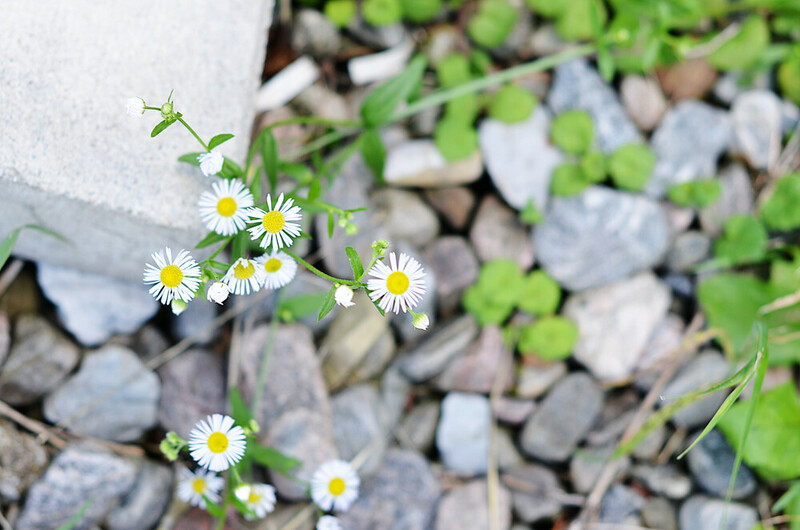 216/365 :: I said I wanted to take a photo of nature before we left Huntsville. So, here's nature! Whoa, I am super late posting today! It is a holiday today so Milo and I slept in today. Ivan got up and started working around the house of course because he is super motivated. Today I am really excited to try making my own non-dairy yogurt. Like, unreasonably excited. I will let you know how it goes. Which sling do you use for carrying Milo around the house? ...and most importantly, would you recommend it? 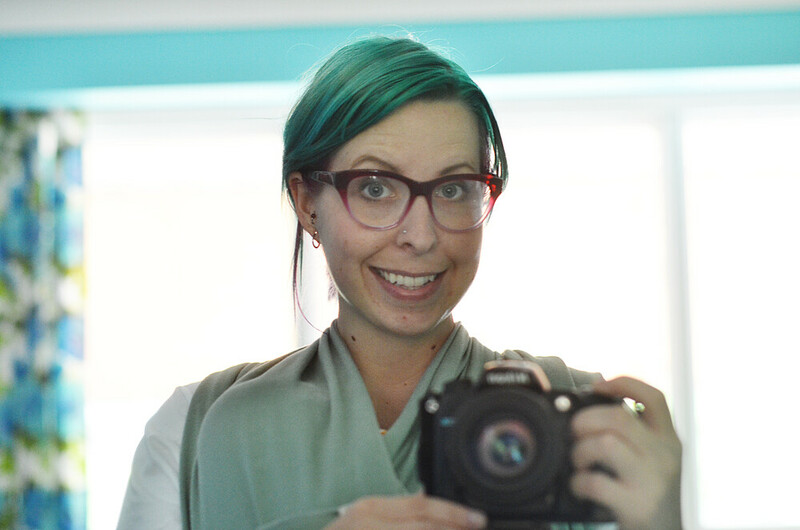 I have a Moby wrap and yes I would recommend it. I like that I am able to use both hands and Milo feels nice and sng in there. Gorgeous pictures! This is making me realize I really need a DSLR. MILO'S FACE!!! Best baby photo I've ever seen! Hahaha, the uterus comment :D Beautiful photos! Lol at the uterus comment. Totally made me giggle. I love trampolines! Beautiful photos! The flowers growing along your hedge are so sweet, I'm determined to make something grow in my garden! That trampoline photo just screams 'summer'. I love how you carry Milo everywhere. It's so precious. 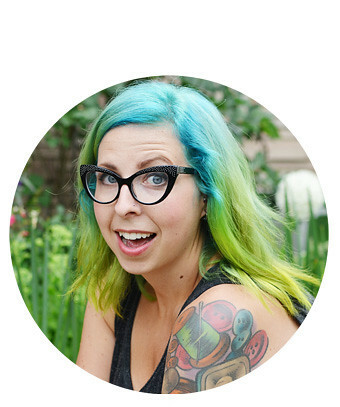 "I didn't go on this time because I didn't want my uterus to fall out." Proper LOLed at my desk here. Woa. That blanket is knitted? It must have taken so long, it looks so fluffy. I love the color or it. Your son's expression on the picture is priceless. So adorable!! 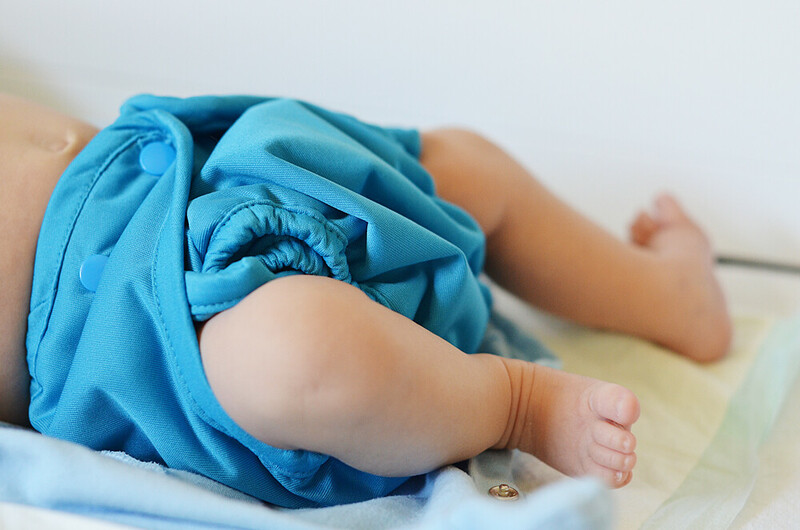 elycia, are you going to write about your decision to use cloth diapers and your experience with them? I'd be really interested, recently made that same decision and am sorta anxious about it at this point, they look huge! I'd appreciate your thoughts on the issue. And congratulations, Milo seems adorable and you and Ivan look very happy!! Yes I am planning on talking about my experience probably sometime in the next month. I am really happy with our decision! They look big but they really aren't too bad.